Super Eagles Forward, Emem Eduok has put pen to paper for another Turkish side, BB Erzurumspor after spending three years at Kasimpasa. 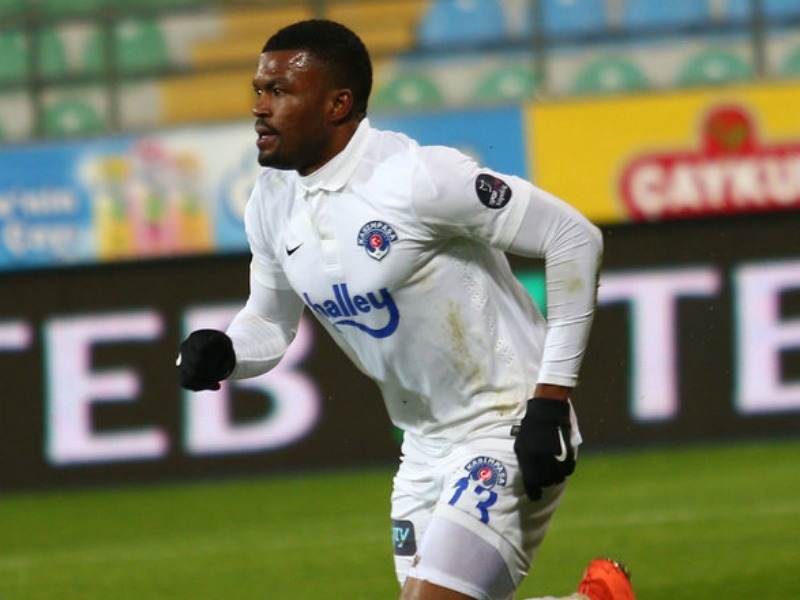 Eduok made a total of 107 appearances for the Istanbul based club where he racked in 4 goals during his first season on loan from Esperance of Tunisia and later registered 19 goals after making a permanent move. The former Akwa United Loanee on Wednesday completed his move to the Kazım Karabekir Stadium outfit after successful medicals. BB Erzurumspor are currently 17th place in the Turkish League, 10 places below Kasimpasa who are seventh, and share 17 points with bottom-placed Akhisar. The Erzurum based club gained promotion into the Turkish topflight league last season and will hope to avoid a drop to the second division. Edouk will join South Africa’s Siphiwe Tshabalala in front to aid his new club out of relegation waters as they face Rizespor on Sunday.